Many people find mind maps are a very useful tool when doing exam revision. They can act as a powerful memory aid in an examination because they are visual. Mind maps show the relationships between component topics within an overall subject area. 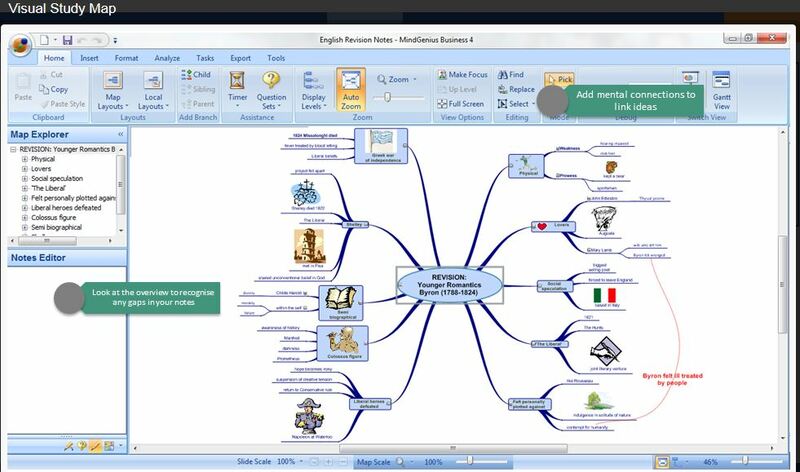 You can create mind maps by hand – drawing them out on paper – or you can use software. There are two applications – MindGenius and Inspiration – available on the HWU Student Desktop. You can also get your own personal copy of MindGenius – free – see our Software page for details.